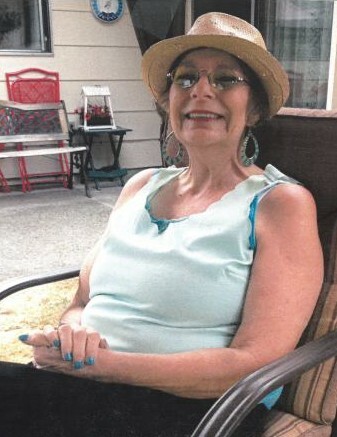 Jetta Wells, age 65, passed away on Sunday, January 13, 2019 after a long and courageous battle with cancer. Jetta was born in Visalia, California and moved to Oregon in 1964. She married her true love, David Wells, in 1971 and had her baby girl, Kym Wells, in 1973. Jetta was an amazing cook and homemaker and loved spending her time with family and friends making memories with everyone she met. Truly an unforgettable woman. Jetta is survived by her husband, David Wells; daughter, Kym Wells; granddaughter, Shyanne; great-grandchildren, Rowen and Jaymie; and her brother, Delbert. a root of my kind. in turn it was mine. to seed the world strong. and then, they'll carry on. to fell sorrow and pain. we played the worldly game. but, now in bed I lay. all I have is thought. my life have seen a lot. as my skin wrinkles away. I know what's in store. my job will be no more.